Mercedes-Benz 300SEL Instrument Cluster Restoration. I've been offering cluster repair services for nearly a year now but this cluster is without a doubt my most complete restoration. 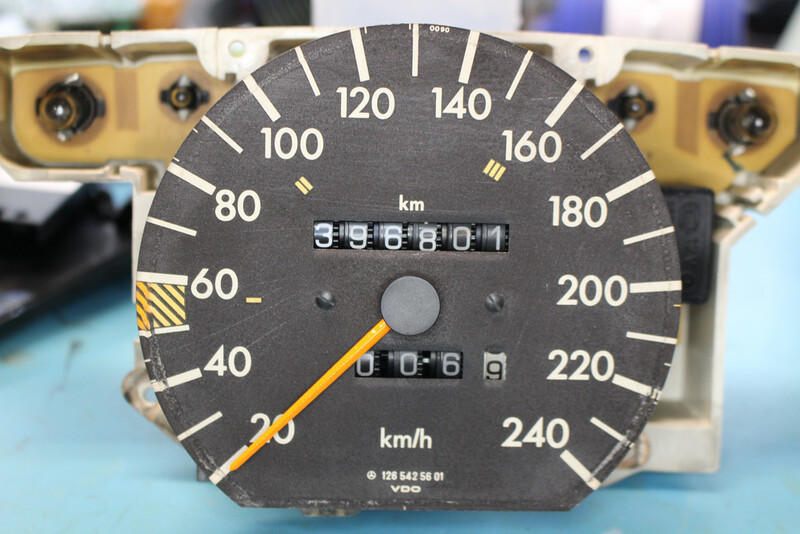 This cluster comes from a 1989 300SEL that lives on the island nation of Singapore. It's owner had complaints of the odometer not keeping the proper mileage. I offered my services to investigate. 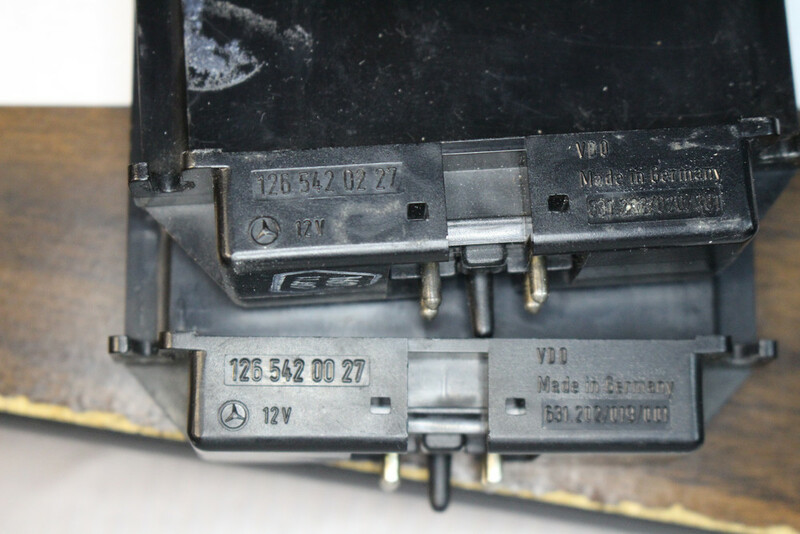 The most common reason for odometer failure on the W126 chassis, and many Mercedes chassis, is the failure of one or more of the odometer gears. Whenever I receive in a cluster I like to take photos of it and document everything as much as possible. Often times I post these photos or use them as reference when I post on the various Mercedes forums. Sometimes its far easier to show someone something rather than to try to describe it. In the case of this cluster, I saw much room for improvement beyond just fixing the odometer. The housing had been modified with alternative lighting but whenever I tried to fire it up it would trip my power supply's current limiter. Something must have happened to it. After removing the electrical tape from the top of the cluster it was clear what happened. Some of the wires that were soldered into the bulbs broke and thus rendered the lighting useless. I'll address this issue later on but back to why it was being sent to me in the first place: odometer failure. 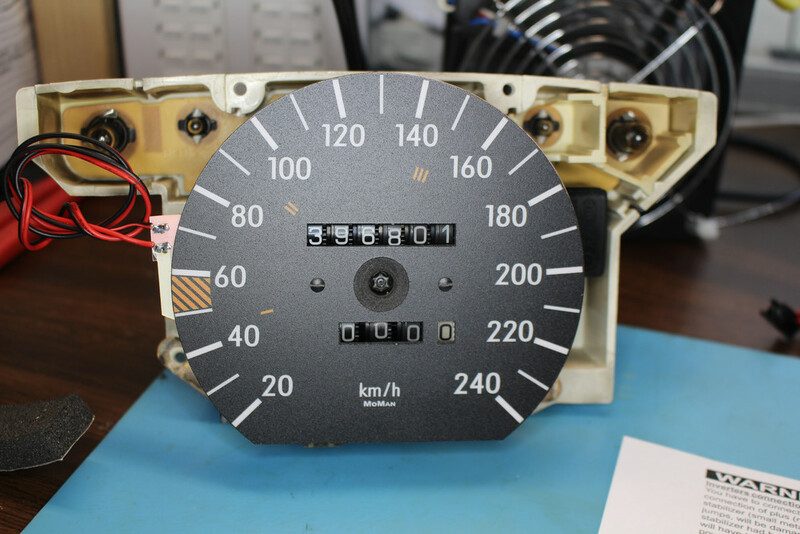 To access these odometer gears the speedometer/odometer unit must be removed from the cluster and disassembled carefully. 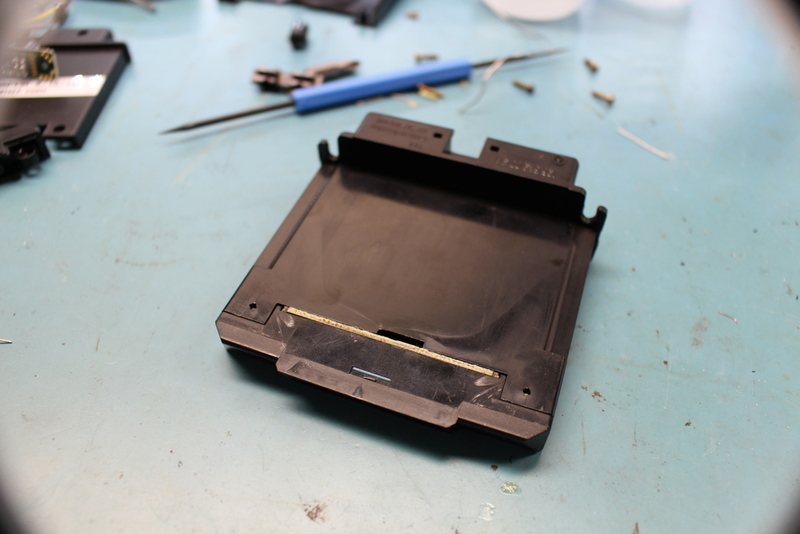 This involves removing the four or five screws that hold the unit to the cluster housing. If you attempt to remove this yourself please be careful when you pull the unit out. Sometimes plastic surrounds that are installed near the light bulbs like to fall out. In order to closely examine the odometer gears I decided to remove the circuit board from the speedometer/odometer module. To do this I had to de-solder five points on the circuit board. These five points are the connections for the galvanometer (speedometer needle) and the odometer motor. Unlike the W123, W124 and W201, the W126 S-class's speedometer/odometer is electronically driven. A sensor in the transmission generates pulses that are sent up into the cluster. These pulses are translated into galvanometer to speed indication and into the DC motor for mileage tracking. I found nothing wrong with the odometer. All the gears were in tact and my testing showed that it functioned normally. I was able to feed the unit a speed signal and observe over 6 kilometers being added to the odometer and tripometer. To be thorough I removed the gears themselves to inspect for a broken or missing tooth. As part of my standard cluster refresh service I test all gauges, replace all capacitors, and re-paint the needles. 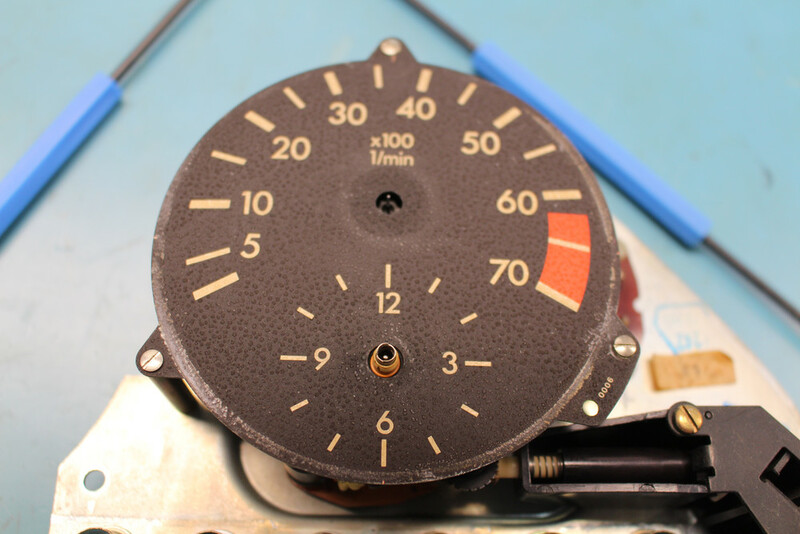 However on this cluster, the gauge faces were particularly worn. The housing around the gauges was worn too. I suspect lots of sun, but not really sure. I offered to replace the aged housing with something nicer. I figured that W126 parts are not nearly as plentiful in Singapore as they are here in the states. Another customer of mine came through for me with a gently used housing from another 1989 300SEL. Merging the pods and new housing resuled was a nice looking assembly. A step in the right direction without a doubt but after talking with my customer it was clear that he intended on keeping the car for a very long time. He wanted to restore the cluster as much as possible. I wanted to offer him new gauge faces but have not had a whole lot of luck finding them. After some research, I've now located two sources. 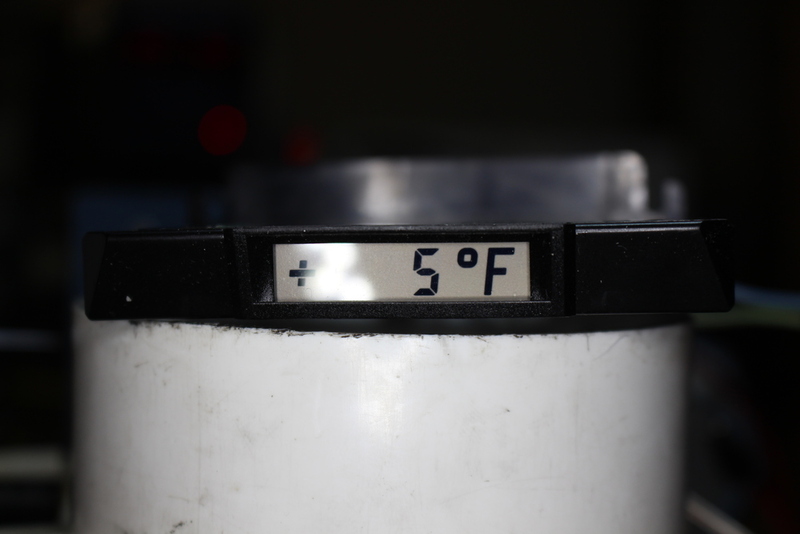 The first offers vinyl pieces that go over the existing metal gauges. Unfortunately they did not have anything that matched up with the metric needs of this 300SEL cluster. The other source, had what I needed, they had the 240kph speedometer face. These replacement gauge faces are very well made but they also come with another upgrade: plasma back lighting. The back lighting REALLY livens up and helps modernize the cluster. It makes very easy to see at night. I was quite pleased with them. I showed some website photos of these prospective gauges to my customer and he approved. Fifteen days and $105 dollars later a new gauge face set arrived at my door. They are manufactured and shipped from Poland. Installation is somewhat time consuming but not overly difficult. The new back lit gauge faces are affixed directly over top the original factory units. The kit includes some double sided tape for this purpose. The needles do need to come off. This can be somewhat nerve racking because, in some cases, the needles really don't want to come off but the end result is nothing short of amazing. Some modifications to the housing must be made in order to accommodate the new faces and their wiring. I used my new Dremel to cut out some small notches for the wires. On the fuel, oil, coolant and economy pod I needed to remove a cylindrical tower in the housing itself. There is no way around removing this piece, its directly in the path of the new gauge face. The next step was to wire up the gauge faces. The faces are powered by an inverter. This inverter jumps the car's 12V DC up to 150-200V AC at 1.8 Mhz. This higher voltage and high frequency is what excites the plasma in the back lit portion and brings the gauges to life. 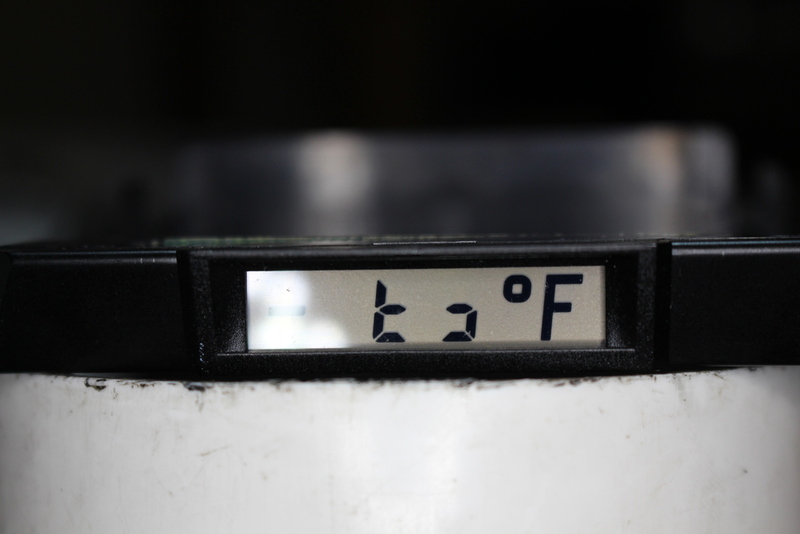 The inverter is fed 12V instrument cluster's native lighting circuitry. I managed to find some unused pads on the speedometer circuit board. I soldered in my wires, connected up the provided splitter, and gave the new gauges some power.